Last week was truly one where I pinched pennies without skimping on nutrients! 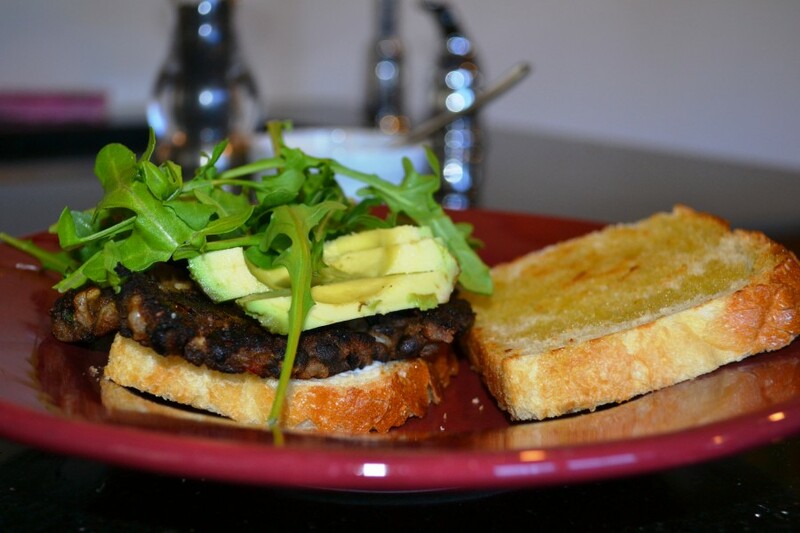 Check out how I made a $2 bag of black beans feed a family for three meals, all while serving up vitamins, minerals, protein and fiber. I followed Jenna’s instructions, on her blog Eat Live Run, to prepare the slow cooker beans. My only modifications were more garlic and a little cumin and lime juice. I will also say that these were so much tastier than canned beans. 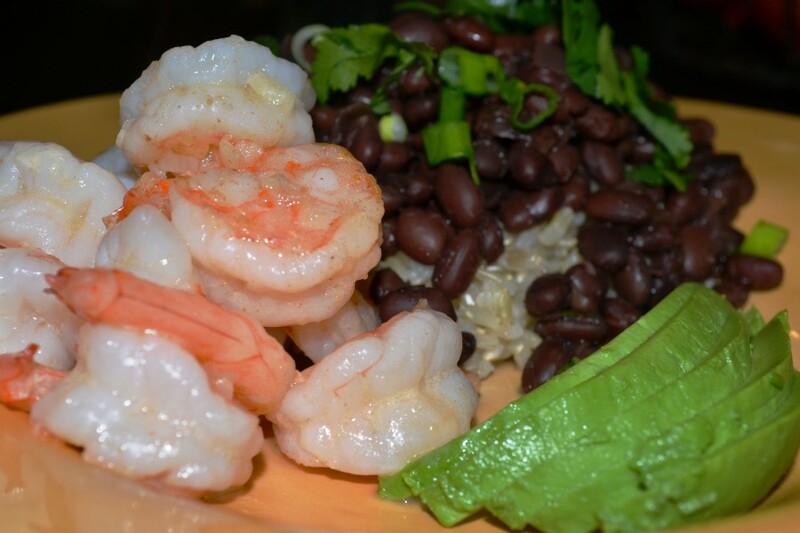 I served the beans alongside Epi’s Sizzling Garlic Shrimp and avocado. For those of you who have never been to Boise, Epi’s is a lovely Basque restaurant in Meridian with wonderful homemade dishes delivered by the nicest people in the world. It’s a must-visit while you’re in town. Heat oil on medium heat and add garlic. Cook until it begins to turn brown. Add the crushed pepper and shrimp. Add splash of sherry. Continue to move shrimp in the pan. When the shrimp turns pin, add the lemon juice, butter and salt. Note: I don’t add anywhere near as much butter as the recipe suggests! For Luke’s lunch, I rolled up some beans with rice and cheese and added to his lunchbox. Easy, quick, healthy and he loved it. Since I work from home, I was able to warm up a tortilla and top the beans with rice, lettuce tomato and avocados. Delicious! Sauté garlic, onion and pepper until soft in olive oil until soft, about 5-8 minutes. Add spices and mix thoroughly. Mash half of the black beans then add all remaining ingredients, including the second cup of beans. If mixture is too wet, add some bread crumbs or more rice. Form patties and refrigerate at least 30 minutes to firm up. Cook about 5 minutes per side on low to medium heat, in oil. I like to serve these with a garlic aioli (glorified way of saying mayo + garlic + fresh lemon juice), avocado and arugula. Note: Substitutions for the brown rice could be bread crumbs and/or quick cooking oats. Thanks for sharing healthy food recipe. 🙂 I would like to eat this regularly, I know it will be very effective for my health. Keep it up.